Kijimuna are said to be Okinawan elf-like creatures that live in banyan trees. 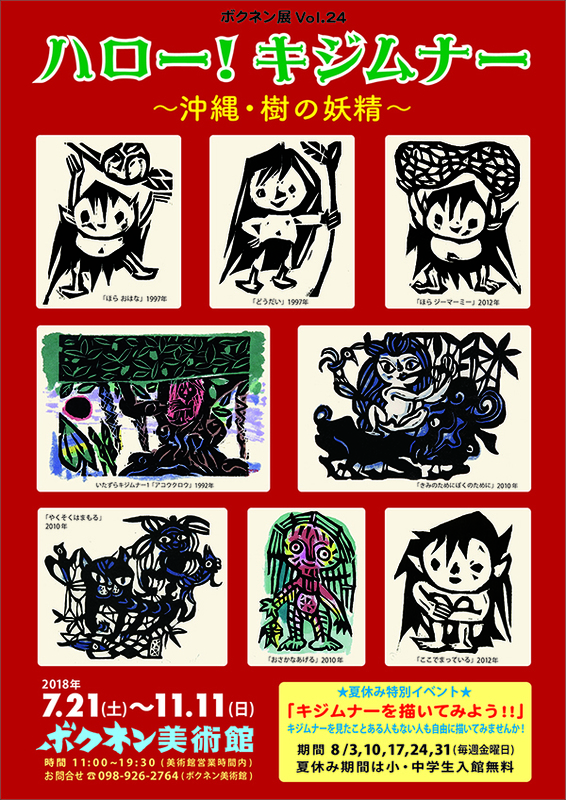 Prints of these tree spirits of legend are gathered together in this exhibition. Come and say hello to the Kijimuna in the Bokunen spirit world, derived from his own rich memories of nature while growing up on beautiful Izena Island.